Premiership betting for 8th March. Southampton, Man Utd plus more. Southampton‘s English Premier League form is insufficiently strong to warrant being such a short price to beat Crystal Palace at Selhurst Park so grab the value odds of 3.70 with BetVictor about the Eagles soaring to a vital home victory. One opposed Southampton against Liverpool last week because the Saints had beaten no team of note in the English Premier League since shocking the Reds 1-0 at Anfield in September. Southampton had maintained its position on the top half of the English Premier League ladder with victories over sides fighting to stay in the top flight, including a 2-0 home win over Crystal Palace the week after its Anfield triumph. A place in the English Premier League top 10 and a positive goal difference marks a successful season for Southampton and the likelihood is that the Saints will finish the term where there are now – ninth – such are the gaps between Newcastle in eighth, Southampton and West Ham in 10th. But should Southampton be trading at odds of 2.25 with several Coral, to defeat Crystal Palace in south London? One thinks definitely not. Crystal Palace is a different animal to the one that lost 0-2 at Southampton earlier this season. The departure of Ian Holloway and the arrival of Tony Pulis transformed Crystal Palace’s fortunes, the Eagles going from English Premier League relegation certainties to likely survivors. Crystal Palace’s English Premier League resurrection has been based around positive home results, with the Eagles winning five, drawing one and losing two of their eight Selhurst Park matches since Pulis took over. Admittedly, Crystal Palace’s two defeats have come against the two English Premier League top-half teams that it has entertained – Manchester United (0-2) and Newcastle (0-3) – but its odds more than account for that. There is no way that Crystal Palace should be available at odds of 3.70 to beat Southampton at home. One has no problem with Southampton being a marginal favourite but anything over 3.00 about Crystal Palace is generous. West Bromwich and Manchester United drew 5-5 in the English Premier League at The Hawthorns last term. A repeat of the 10-goal thriller that heralded the end of Alex Ferguson’s tenure as Manchester United manager is improbable but both sides finding the back of the net is well worth a bet at odds of 1.91 with Boylesports, Coral and William Hill. Both teams have scored in each of West Bromwich’s half a dozen English Premier League games since Pepe Mel took official control of the Baggies. Mel arrived in the Black Country with a reputation for espousing open football and West Bromwich’s results are indicative of that. Manchester United has kept clean sheets in each of its last two English Premier League away matches but one of them was at Arsenal where the Red Devils went not to lose. Manchester United will play its natural game at West Bromwich and banking on the Red Devils being defensively solid in any competition has been the quick way to the poorhouse this season. West Bromwich has kept only one clean sheet in its last 18 games across all competitions so a Manchester United goal looks nailed on. So, effectively, one is getting odds of 1.91 about West Bromwich scoring at least one goal of its own and that looks like a reasonable investment given that Manchester United has conceded goals in 13 of its 20 away matches across all competitions. Furthermore, remember that West Bromwich beat Manchester United 2-1 at Old Trafford. 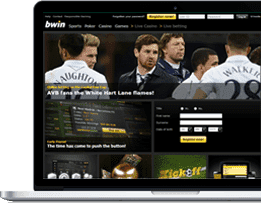 Finally, Norwich versus Stoke at Carrow Road is an English Premier League game that screams under two and a half goals so bet on that option at odds of 1.67 with BetVictor. Norwich’s 28 English Premier League matches have featured an average of 2.29 goals, with 18 of them going under two and a half goals. Stoke’s 28 English Premier League games have had a total of 70 goals at a mean of 2.50, with 16 of them going under two and a half goals. Also, it does not hurt one’s argument that Norwich defeated Stoke 1-0 at the Britannia Stadium in September thanks to a Jonathan Howson goal. Each of Norwich’s last half a dozen home matches across all competitions have gone under two and a half goals – Canaries boss Chris Hughton is facing the sack largely because his side cannot score regularly – while four of Stoke’s last five away games have gone under the popular goals total.